Build your own computerized inlay machines, save a bundle, and learn a lot to bout. 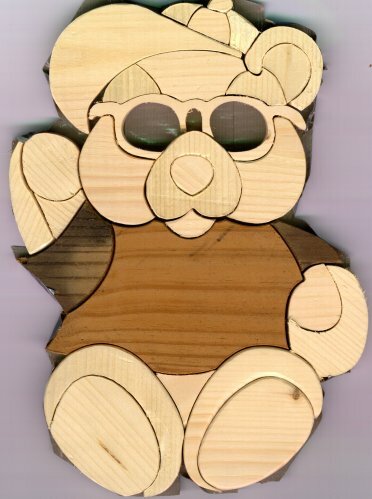 With the world of computerized machinery why not cut the individual pieces for marquetry inlay or any other design with computerized equipment. With some mechanical knowledge you can build this equipment. Of course knowing machinist's skills would be handy. Hopefully I can give you an idea of how to get started. Personally I have been working on this for a while, money always seems to get in the way. I believe in the future that CNC stone marquetry will be common place. If you have never seen stone marquetry, it's unreal. The first thing on needs to do is built some type of cutting machine. A computerized milling machine would be handy right now, but unfortunately most people don't have the $8,000 and way up that it takes. There are many materials the inlay is done with, and so there are many ways to cut it. Bandsaw, jigsaw, router, laser, waterjet, TNT, and so on. 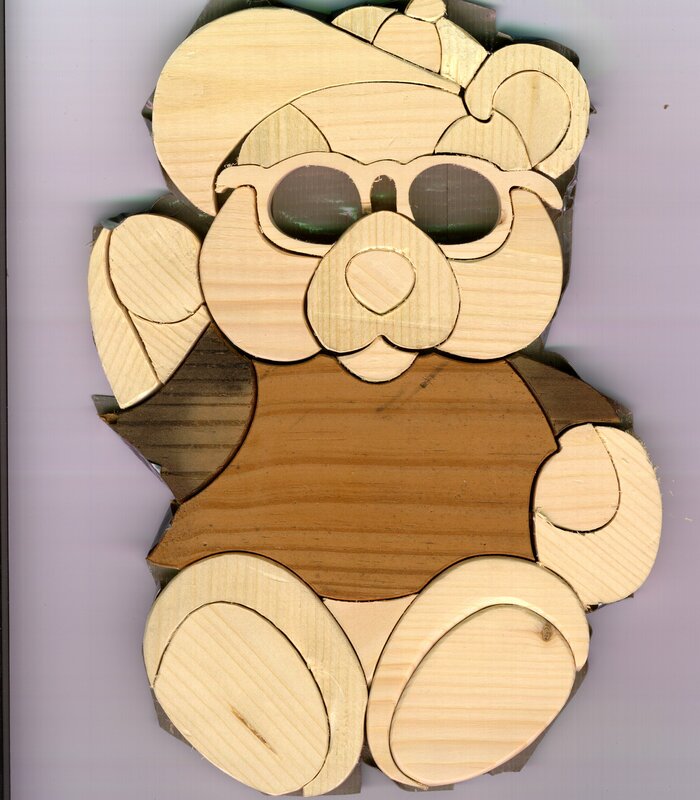 I have yet to find cheap safe ways to do laser and waterjet cutting in the comfort of my home. I have seen the best choice so far to be a high-speed rotary tool for wood. This spindle could be a Dremel for veneers; I find it hogs though pretty thick veneer rather nicely. Or the spindle could be a router or better yet a trim router. The trim routers turn at like at 30,000 rpm, great for a small cutter. A drill press does not work the greatest because it turns too slow, and the bearings are not designed for a side load that the milling gives it. Don't get me wrong you can take a x-y table bolt it to a drill press and mill with it, but it shakes all over and does not cut the greatest. With now that you have this spindle that you are going to cut with you need a way to hold it. Adjustable hose clamps work great. I mean you could come up with some fancy apparatus to hold your spindle including a bolt hole pattern and specially contoured to the tool but why. Hose clamps have all the rigidity ones needs. Quick side trip-- Rigidity--this is one thing you need for sure. Your weakest point or points is where your machine is going to vibrate, bend, shimmy, chatter, slop, and all other kinds of nasty problems that will separate your homebuilt from a professional modal. Try to keep the machine parts and tools short as possible and matched. Back to holding the spindle. Imagine if you will your arm and hand holding this spindle. There is a design to start with. I actually built one like this. It slid on two 5/8-inch drill rods at the "wrist". It worked well for the Z-axis. Some type of x-y table can give you your X and Y-axis. Sears and Enco sell cheap models. When I say cheap, they have steel bushing and they take the trust one 1/8" roll pin, But they do work, and you can even get away with running a belt to where the handle goes. I have seen people use drawer slides, drill rod, old machine slides of some sort (lathe mill, any machinery), A trip to a surplus and scrap yard and you might find something. Also small machine slides are something that a machine shop would never throw away. You could probably call all the shops in the area. Quick note--- don't be afraid to start calling business for any reason like that. Tell then what you're doing. I have noticed a lot of people take interest. A good number of people would like to here about the project because it's interesting, and they would never have time to do it themselves. I have even felt bad sometimes because of how far someone has gone to help me. Return the favor--somewhere. Anyway! A machine shop might be able to sell you something to slide on for cheap and used. Maybe you can even just burrow the thing if it does not work out. Use your creativity a built the monster. Now you have to control it! Stepper motors, servomotors, even plane dc motors with limits switches or pneumatic and hydraulic cylinders will get you moving. I chose steppers because they are easy to control. Don't be afraid you can get into this without knowing about electronics. There are controllers available for $60 and up. Controlling the World with your PC by Paul Bergsman is a good book for PC control. Steppers are easy to control because your computer does not know where the machine is. This is called an open loop setup. It's cheap and easy, and pray that the steppers don't skip. Some controllers come with software, some you're going have to find or write your own. Dont expect to be done next weekend. There is a lot of research that goes into this. Hopefully over the next couple of years I can make this easier for you. As you might have guess this is a first draft and needs time to refine, hopefully into a book one day. an 1/8 inch cutter 1.25 deep in pine. Not bad. One would think this little blocks are really easy to make. One problem is that they have a 1/4 inch outside radius to compensate for the radius on the inside, when you fit them together. You can't get that precise with a template and a router. I seen this T design in a driveway once, but I could never figure how to cut the blocks with regular tools. Well with a CNC router it's a whole lot easier. Plus you can eat dinner while you wait for them to get finished. I cut the path into a board, then band sawed them off. Then I fit the blocks together, glued um, then sliced em. One can get allot of slices out of 1 inch thick material. Right now I can get 15 but with a better band saw more is possible. You can still see the bandsaw marks in this slice. Well as of 19 Apr 98 I am working more on these cnc routers. This is the first intarsia project I did. It's not pretty, but it was all cut with a CNC router. I am testing new stepper motor controllers. I just bought the parts for 5 more controllers. More info is to come when I can afford to take a break. Controlling the World with your PC by Paul Bergsman available from Mondo-tronics.